The new Panorama=Q 6/8 II Plate is in other terms an Indexed Panoramic Rotator with predetermined detent intervals aka click stops. It conforms to a quite slim standard according to Novoflex, with a small diameter so that the use of wide-angle lenses is possible without any interference problems. The P=Q 6/8 II Plate (rotator) comes in a plain white hard-carton box featuring a large sticker on the top side with model name, the picture, bar-code and short description of the included product. Opening the box flap reveals a folded A4 size color laser print of a two page manual (more details follow). Under the folded manual sits the P=Q 6/8 II in its hole with its matte gray color in great contrast to the white box. The extended bases with offset bubble spirit levels inherent on Novflex panoramic rotators, belong to the past as all new plates sport an integrated spirit level on top for accurate horizontal alignment. Therefore, the specific cut-off in the box, now quite conveniently, serves for the accommodation of the click stop selector bar. There are no other contents in the box except for the white foam that fills the box base and a nylon zip-lock bag with a slim Allen hex key intended for the anti-twist base pin. Although short, is quite complete, describing the parts and functions of the rotator in the first page. The second page is dedicated to the required Novoflex accessories in order to build a single row panorama head and directions to the Novoflex site for a spherical panoramic head. Novoflex Panorama=Q 6/8 II User Manual gives basic instructions. Despite the naming conventions and specifications the first page gives basic instruction on how to level the plate, how to clamp a camera plate on the Q mount clamp and how to make selection between the predetermined interval angle stops. Lastly it shows how to extend the anti-twist pin on the base. Nevertheless, nobody would expect a tutorial; while it requires prior knowledge of what you are doing it is far more comprehensive than many manuals of the short in competitive products coming from the Far-East. PANORAMA=Q 6/8 II is an improved direct replacement of the existing Panorama=Q 6/8 model following the design of the new family of panorama plates. The full sequence of click stops goes (0) stepless, (6) 60°, (8) 45°, (10) 36° and (48) 7,5°. Although its 62 mm diameter is not big, the P=Q 6/8 II looks massive. It's full metal structure is simple in design with no unnecessary frills, hard anodized in a matte mauve-gray color with some electric blue accents in the color of some controls. Both short screw knobs, one larger for the Q mount clamp and one smaller for the panning base lock are knurled with a small diamond pattern and somewhat shiny anodizing. Novoflex Panorama=Q 6/8 II top platform details. The P=Q 6/8 II top platform is occupied by the Q mount clamp jaws which both have center index marks for the proper alignment of camera plates or rails, a large green bubble level with a bull's eye for proper leveling, a very convenient center cross mark for the proper alignment of a lens center axis above the pivoting point of the rotator and a spring loaded safety pin, located just beside the center cross, which prevents Novoflex plates or rails from falling in case the clamp is not tightly closed. There is also a small hole beside the bubble level which corresponds with the anti-twist pin at the base (more details below). An essential feature of the new slim design is that all panorama plates in the family are equipped with a ball bearing which provides a smooth panning with almost zero play. Moreover, the laser engraved scale on the P=Q 6/8 II is new, like on all recently released models and covers a range of 0 - 360° with digits every 10° and marks in 5° increments. The base perimeter features a ring with knurled texture matching the screw knobs, in order to enhance the grip of the rotator body during tightening on or removing from a tripod mounting plate. There is a center bottom mounting hole with a 3/8"-16 thread which arrives occupied by a factory installed metal 3/8"-16 to 1/4"-20 reducer bushing extending compatibility with 1/4" tripod studs. Further away, towards the perimeter that metal dot is the tip of an immersible anti-twist pin. Setting sequence of the Novoflex Panorama=Q 6/8 II Immersible anti-twist pin. As forementioned the small diameter hole aside the bubble level (top left photo) allows access to the hex socket head of the anti-twist pin at the base with the included Allen hex key. That of course has the prerequisite of the blue dot (0 mark) on the laser engraved scale to coincide with the index mark on the perimeter of the rotator. 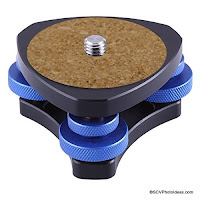 Then by turning the Allen key clockwise or anti-clockwise we can protrude or retract the pin, thus immobilizing or releasing the P=Q 6/8 II rotator on the tripod top mounting plate or a leveling base mounting platform. The smaller shiny blue knurled knob shown below the Q mount screw knob is called "Angle Locking Screw" by Novoflex in the part naming table of the accompanying manual. Nonetheless, it is the one responsible for locking the panning base of the rotator. Of course when using the click stop options the panning lock knob should be loosened. Novoflex Panorama=Q 6/8 II pan-lock knob and rubber O ring. Nonetheless, I shall repeat what I said in the Novoflex VR-System Slim Panorama Head Review about Novoflex views on the matter. They suggest that as long as the indexing feature of the Panorama Plate is utilized, the panning lock knob is redundant. Therefore, by being removable is actually a benefit, since when removed the footprint of the rotator is further minimized with less protruding parts in the nadir shots. 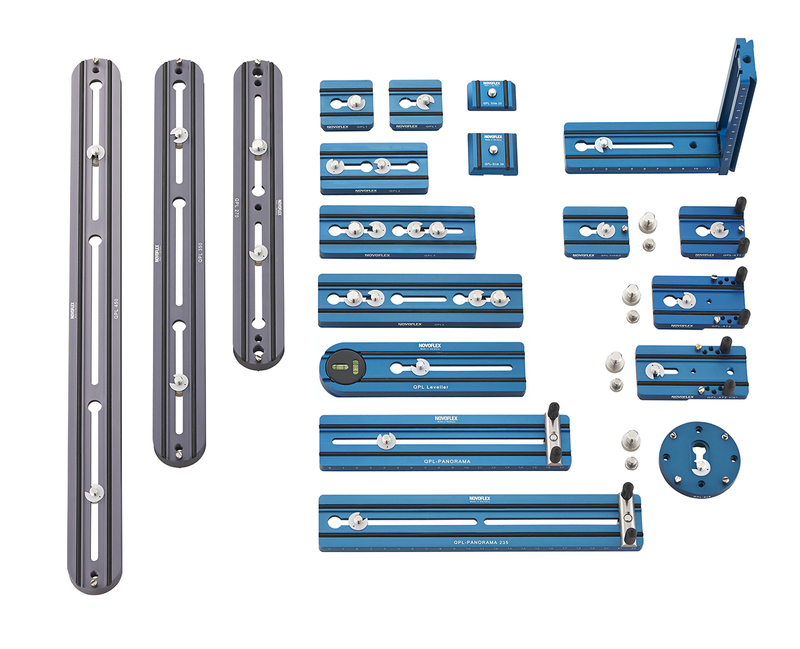 As mentioned previously in the P=Q 6/8 II Plate description, a blue color Aluminium lever protruding out of the front slot is responsible for the selection of the detent intervals. Each lever position is clearly marked on top with a laser engraved number, equal to the click stops selected as well as stepless rotation. The detent increments are set at (0) stepless rotation, (6) 60°, (8) 45°, (10) 36° and (48) 7,5° which can cover a wide range of lenses. The choice of the first three selections of click stops is better suited for wide angle lenses which will be appreciated by panographers who follow a specific workflow with fish-eye or ultra wide lenses. Nonetheless, counting every two click stops will further give (3) 120°, (4) 90°, (5) 72°, while on the other hand the last option of 48 stops is more universal, since besides being applicable for narrow field of view lenses by itself, the user can select it and count on every second, third, fourth or even fifth "click stop" in order to expand the selections for more not predefined intervals. E.g. (24) 15°, (16) 22,5°, (12) 30° and so on. Novoflex may be consider one of the pioneers in the adoption of the Arca-Swiss® compatible system on their quick release clamps which they call Q Mount. Somehow their design is proprietary and far from resembling to what we are accustomed to see on most other quick release clamps. The steady jaw is quite longer than the moving jaw, while the moving jaw is a single massive block without tongues and springs, guided in and out only by a single lead screw. The lower part of the moving jaw is angled extending outwards on both sides and this wisely designed part is what holds the jaw in place. Very tight tolerances between the jaw and the rotator body make it act as a drawer with side quides not allowing it to move either upwards or sideways. Novoflex Panorama=Q 6/8 II Q Mount moving jaw precise fitting and movement on side walls. Should I mention here, that the screw knob operation is very fast compared to other quick release clamps I have used. It takes just a rotation to open or close the clamp fully, which means that the thread pitch of the lead screw is wide. On one hand the clamp works fast being easy to load and unload competing a lever release clamp, but on the other hand it requires extra force to be applied when tightening the clamp in order to preventing from unlocking and loosening the clamped plate or rail. Caution should be taken during handling. Considering the small size of the screw knob it is not so easy to tighten and keep it locked with this thread pitch. This is not specific with Panorama=Q 6/8 II Plate Q-Mount though, as I had the same experience with the small Q-Mount clamp found on the horizontal arm of the VR-System Slim Panorama head also reviewed at the same period. Therefore, I feel that Novoflex should take some measures and sacrifice a little clamping speed in the name of safety. The only functional difference between the Panorama 48 and Panorama=Q 6/8 II besides the Q Mount of course, lies in the lower three click-stop selections which make the 6/8 II Plate (Rotator) more appropriate for applications utilizing wider focal lengths which require less stops around. Novoflex Panorama=Q 6/8 II Plate on the left and Novoflex Panorama 48 Plate on the right. Another advantage of the P=Q 6/8 II over the P 48 is that each lever position is clearly marked with the appropriate number of stops on top of it. Due to the lack of a QR clamp on top the P 48 the digits marking the detent interval stops are placed within the selection lever cavity. A fact that may confuse a user comparing the two panoramic rotators, at first. Since, "0" mark for stepless rotation is missing from the P 48, stepless movement is possible when the lever is on the leftmost position covering the "16" mark. The table below shows a comparison of Novoflex Panorama=Q 6/8 II Plate (Indexing Rotator) with Panoramic Indexing Rotators of similar characteristics coming from other manufacturers. Novoflex is an early adopter of the Arca-Swiss® dovetail system, therefore has a complete range of universal camera and lens plates as well as a series of multi purpose rails which cover almost any need. An overview of Novoflex Q-Plate family (Photo by courtesy of Novoflex). In this respect the Q Mount quick release clamp is fully compatible with Novoflex's own gear. Pictured above with own Novoflex QPL Slim 50 quick release plate as a perfect match. The dovetails of the Novoflex QPL Slim 50 plate is a perfect match with the QR Clamp jaws. Maximum contact area is attained between the same brand equipment. Anyhow, in order to check its compatibility with other manufacturers' plates and rails, P=Q 6/8 II was tested with various camera plates, lens plates and multipurpose long rails of various thicknesses and widths. Plates and Rails tested were from Benro®, Desmond®, Hejnar PHOTO®, Kiwi Fotos® and Sunwayfoto®, with excellent clamping in general. In turn the Nvoflec P=Q 6/8 II is shown above with a Hejnar Photo 1/2" thick rail which by the way is fully RRS® compatible. Due to the little different dovetail edge design the contact area between the Q mount jaws and the rail is a bit less but still more than enough to hold the long rail in place securely. All dimensions fall within the average limits, consisting the quick release clamp compatible with almost any Arca-Swiss® type plate and/or rail. Mounting of the Novoflex Panorama=Q 6/8 II directly on a tripod equipped with a 3/8"-16 stud, will require removal of the pre-installed 3/8"-16 to 1/4"-20 bushing. Novoflex Panorama=Q 6/8 II with 3/8"-16 to 1/4"-20 bushing removed. Direct mounting on a tripod top mounting plate, just needs screwing the Panorama=Q plate onto the tripod stud and then secure the rotator either by tightening the set screw on the tripod top plate (if it exists) or by tightening the Immersible anti-twist pin on the Panorama=Q following the steps mentioned previously. Mounting and securing sequence of the Novoflex Panorama=Q 6/8 II directly on a tripod. 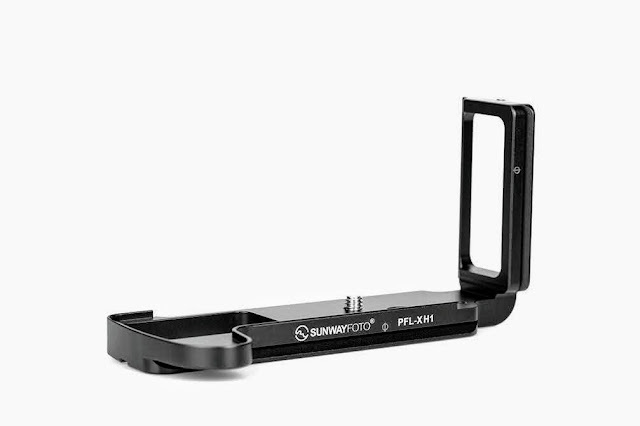 Many Panographers prefer to level their panoramic gear using a leveling base. In this case the leveling base of your choice is mounted first, followed by the attachment of the Panorama=Q 6/8 II Plate on top of the leveling base. Same procedure using a set screw or the anti-twist pin, should be followed in order to secure the Panorama=Q Plate on the leveling base platform. Mounting and securing sequence of the Novoflex Panorama=Q 6/8 II on a leveling base. Since the Novoflex Panorama=Q 6/8 II plate may be used as a vertical rotator in a Multi-Row panorama head structure as the Novoflex VR-SYSTEM PRO II, this would require some extra panning-lock strength in order to ensure offset center of gravity loads are held without sagging. An offset load is either at the end of a Nodal slide or on the protruding barrel of a long and heavy telephoto lens. Therefore, the P=Q 6/8 II was tested in order to have an approximate assessment of its torque capacity on the panning base. In order to be able to immobilize the rotator horizontally, it was securely tightened on the top mounting plate of a Triopo W8 articulating arm horizontal column. Next step, the panning base lock knob was tightened as much as possible by hand. This distance multiplied by the hanging weight means that the panning base locking brake can withstand a torque of ~35,75 kgF*cm or ~350.70 N*cm. By deduction this means a load of ~2.98 kg could hang offset with its center of gravity at a distance of 12 cm (4.7") from the pivot center (Gitzo method) or a load of about 11.9 kg within the perimeter of the panning base. Since I had the VR-System Slim head available for review, what would be more appropriate to test the Panorama=Q 6/8 II Plate with other than a kit from the same manufacturer? Therefore the VR-System Slim bracket, the portion of the head structure omitting the horizontal rotator, was utilized for the test. Note that the VR_System Slim bracket is also sold separately. Nonetheless, since the Panorama=Q 6/8 II Plate is sold independently, it may be used even with heavier panorama head structures either from Novoflex or from other manufactures as long as the rails are Arca-Swiss® compatible. More details on the VR-System Slim head and its structural parts, may be found in the Novoflex VR-System Slim Panorama Head Review. The process is straightforward since we have an horizontal rail with Arca style dovetails and an Arca style Q-mount clamp. The rail may either be slid in from the side or put in the clamp from the top by opening the clamp jaws a little more. Caution should be taken though, because the recess along the middle of the rail on both sides does not leave too much catch for the safety pin on the Q-mount clamp. Therefore, the clamp has to be tightened well and double checked. A small sized SONY NEX-7 ILC camera was available during the Novoflex Panorama=Q 6/8 II evaluation period, so it was a good chance to test how it fit when combined with the excellent SONY 16mm f2.8 ultra wide lens. No doubt, setting up the rig requires centering of the lens exactly above the horizontal pivoting axis. This is quite a easy job since there is a large cross on the top surface of the Panorama=Q visible through the slot of the VR-Slim bracket rail. Adjustment of the rail is done by loosening the Q mount (clamp) a little bit. Next step is to determine the Non Paralax (Nodal) Point for the specific lens and adjust the camera position back forth on the horizontal arm by loosening the thumb knob of the camera Q mount. Proper adjustment will result in camera pivoting on its NNP in both axes. Next thing is to arrange the horizontal click stop intervals for the frames required to complete 180°. Of course, Sony NEX-7 being a APS-C camera the crop factor of 1.5 had to be calculated for the focal length to determine the frames required. The 24 mm focal length resulting in 35mm equivalent requires 10 frames every 36° in 3 rows at -45°, 0° and +45°, plus a Zenith at +90° and a Nadir shot at -90°. Just perfect since we can set Panorama=Q 6/8 II lever exactly at 10 click stops with no further calculations as with the Panorama 48. Novoflex Panorama=Q 6/8 II with VR System-Slim set at 10 stops interval selection as required by the 16mm U-Wide lens. Although, the Panorama=Q 6/8 II Plate makes the horizontal click stop choice easier, as mentioned in the Novoflex VR-Sysem Slim review, the issue with the vertical arm click stop interval at every 10° remains. Therefore, instead of 45° tilt up or down to divide the rows equally, we need to go either at +/-40° or +/-50° increasing or decreasing the degrees of overlap between the rows or the zenith and nadir points. The Samyang 8mm FishEye is a very popular budget lens for crop factor cameras with good overall results. However, it commonly requires 6 frames shot every 30° at -15°, plus two opposed Zenith shots at +60° for a 360° panorama. Once more, Panorama=Q 6/8 II fits perfectly to the requirements as we can set its lever exactly at 6 click stops with no further calculations. Setting the Panorama=Q 6/8 II at 6 stop interval selection match the 6 frames around required by the Sumyang 8mm Fish-Eye lens. Somehow, I can't say the same for the settings of the VR-System Slim vertical rotator. The click stops at 10° intervals obliges us to select either -10° or -20° instead of -15°. Nonetheless, -10° proves that covers more tripod and head than required so a selection of -20° is more advisable. Setting the VR System-Slim vertical rotator at -20° selection as a -15° selection is impossible. Shooting with somewhat larger and heavier cameras, like the Canon EOS 7D combined with the Samyang 8mm Fish-Eye does not seem to be a problem for the head structure. On the other hand the selection of +60° for shooting the Zenith frames is quite straight forward and withing the settings of the vertical rotator. Setting the VR System-Slim vertical rotator at +60° selection for the double opposing zenith shots. As it is easy to shoot two opposing frames to cover fully the zenith of the 360° panorama. Exceptional machining, finishing, fitting and build quality. Very smooth panning operation with very precisely defined detents (click stops). Very good compatibility with all Arca style dovetails. Easily unlocking Q mount clamp, due to wide pitch screw knob which requires some improvement. The size and weight is quite reduced compared to older Novoflex designs, decreasing substantially the footprint and post editing of nadir. As it is compatible with almost all Arca-Swiss type plates and/or rails besides Novoflex's own, make it a good candidate to be included in other solutions as a horizontal rotator when mostly wide lenses are to be used. Somehow, the price tag compared to the plethora of Chinese clones is a negative point but I would say it's addressed to those caring about quality and longevity of a product. ** On the other hand, as formentioned according to Novoflex, as long as the indexing feature is used, the ability to remove the panning lock knob is beneficial since it minimizes the footprint of the rotator for nadir shots. Note: The Novoflex Panorama=Q 6/8 II Plate presented in this article was kindly offered by NOVOFLEX Präzisionstechnik GmbH for evaluation and review. 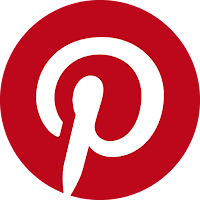 All Photos, Photosynths and Gifs: ©2015 S.C.Vlachos except individually mentioned otherwise. Current price for the new PANORAMA=Q 6/8 II is € 219,00 (+Shipping where applicable). At this time it is available from Novoflex or from Amazon in Germany and from eBay worldwide.